briefs the Dominica public in April 1978. Roseau, Dominica (TDN) On November 3, 1978 the world's attention was focused on the island of Dominica the latest country in the British crown to assume its independence. Fireworks, pomp and ceremony highlighted the event locally. Sitting proudly at the epi center of this momentous event was the country's first prime minister 40 year old Patrick Roland John. John was riding a wave of popularity having handsomely won the 1975 general elections. This was his crowning achievement taking Dominica from associated statehood to a proud independent country of some 77,000 inhabitants. International press coverage focused heavily on the country's size and seeming lack of resources. One newspaper in Dallas Texas described it as follows: "a true banana republic (the fruit accounts for 70 percent of the country's meagre exports), it contains little else." "There is no tourist trade. A recent visitor had to stuff a towel in a broken window to keep out the rain. The Gross Domestic Product is about US $37 million a year the sum generated by the United States each six minutes." In Arlington, Texas the news coverage caught the attention of a 26 year old attorney Grey Pierson. "We figured they needed help," he later remarked to the press. Within days he had made his way to Dominica to meet with the erstwhile leader. Once there he told John that he could help develop the country's economic potential. Convinced, and desperate to offer hope to thousands of his followers, John agreed. Grey Pierson was no ordinary Texan. He was the son of millionaire businessman Don Pierson who had shot to international fame after he stationed a boat off the Coast of England in the 1960s and beamed pirate radio broadcasts into British homes. The British government would eventually shut down the operation. Undaunted by this setback in England, Don Pierson courted the attention of Haiti's dictator Francois Baby Doc Duvalier. In 1971 Duvalier entered into a 99-year contract with his company Dupont Caribbean Inc. to set up a Free Port in that country. It would lead to the establishment of Free Port Tortuga. Pierson would later claim that within 18 months he succeeded in building the island's first airport, a loading dock for seagoing vessels, rudimentary water and sewer system, an electricity generating facility, and six miles of paved road. However within three years the project came to an abrupt end when it was claimed that Duvalier, without warning, took over the company. 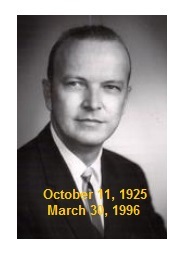 Back in Arlington, Pierson immediately set up the Southern Caribbean Corporation (CSC) naming himself President and his father Don Pierson as Chairman. With the corporation duly registered in Texas on December 27, 1978, the Piersons' returned to Dominica in early February to hammer out an agreement with the John administration. Taking the lead in Dominica along with John was the influential Attorney General and Foreign Minister Leo Austin and Deputy Leader of the ruling party education minister Henkel Christian. On February 9, 1978 the agreement was secretly signed by the three ministers on behalf of the government of Dominica while Don Pierson signed on behalf of his corporation. Within days word spread about the details of the agreement. A stunned populace could scarcely believe news reports of the contents of the agreement. To begin, 45 square miles to the North of the island consisting of the country's most fertile agriculture land, the entire town of Portsmouth, and the lone airport would be leased to the CSC for 99 years at a cost of $100. Another provision of the agreement gave the government of Dominica 100,000 non-voting shares valued at $100,000. At the same time Don Pierson and his son would receive an equal number of voting right shares. In addition, all disputes arising from the agreement would bypass the local judiciary and be submitted to the international Center for Settlement of Investment Disputes. Opposition to the proposed Free Port was swift and unrelenting. The official opposition freedom party, the Farmers Union, civic and church groups all added their voices to the growing chorus of discontent. Land owners in the designated area openly opined that they would under no circumstance give up their lands to be leased by the CSC. Local newspapers jumped into the fray derisively naming Pierson as Mr. Free Port Pierson. Others began referring to the Northern part of Dominica as 'the New Hong Kong.' In the April 13, 1978 edition of the weekly newspaper the Star, John Spector wrote "As for the name given to the Free Port New Hong Kong it is an insult to Dominicans when one realises that Hong Kong has a seedy reputation for labour exploitation, slum dwelling, overcrowding, corrupt police, drug peddling and prostitution." John's and Leo Austin's adventurism was proving too much for the Dominican public. Not only were they in danger of being enslaved in their own country but Dominica could easily become a pariah in the international community by doing business with South Africa. 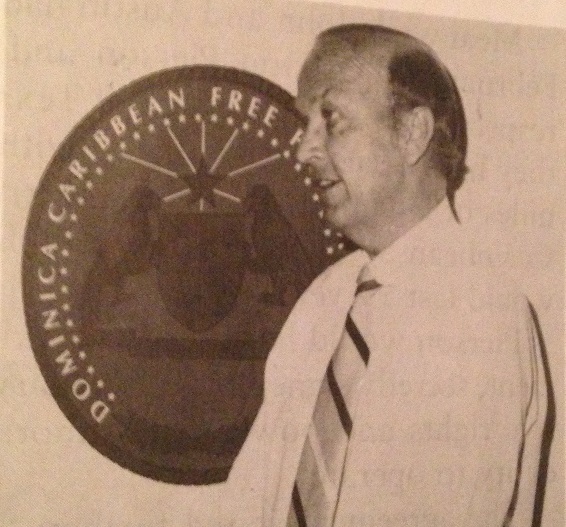 Amidst the growing public discontent and protests, John took to the airwaves in an effort to convince the Dominican people of the "many benefits to be derived from the Free Port Zone." In early April as news of the public's disquiet spread, the Pierson's hastily returned to Dominica to try to salvage the agreement by launching a public relations campaign. In one such event on April 6, 1978, Pierson addressed students at the Dominica Grammar School, one of the five secondary schools on the Island. With uncharacteristic charm, Pierson attempted to put the students at ease. "All of you will someday have the opportunity to have a very good job right here in Dominica. More than 200 firms are already scrambling for space," he intoned. Pierson told the students that they will find work in hotels, banks, radio and TV stations, and casinos, which will be set up in the Free Port Zone. These attempts however all proved futile. The country's unease with the John administration coincided with wage demands of 136 percent increase by the powerful Civil Service Association, strike action and civil disobedience. Cowed into submission, John realised that he could not salvage the agreement. Aware of a major protest rally planned for May 7, he formally wrote to Pierson cancelling the agreement. "From the reaction of the landowners, farmers, legislators, leaders of the people and the churches both in the area and throughout Dominica as a whole, it is now quite clear that you will not be able to obtain the lands, since the people in the North, by their public protests and appeals to me, have shown that they do not wish a Free Port in the area, and will not lend their lands to the Free Port Authority," John wrote. With public agitation reaching fevers pitch in Dominica and unable to convince John to stay the course the Pierson's beat a hasty retreat out of the island. "There was a general strike by civil servants and a lot of violence. I left the country in fear of my life in the middle of the night on a German sailboat." Grey Pierson later recounted to the Dallas Times Herald. The New Chronicle headline of May 5, 1979 screamed 'Free Port La Kwaze' ( creole for The Free Port is Destroyed/Dead). With his grand plan for bringing economic vigor to the island squashed, John and Austin grew increasingly isolated from the public. It did not help that the labour unions and the opposition parties felt emboldened and continued to press the administration. Within a few weeks on May 29, 1979 soldiers loyal to John would open fire on thousands of protestors who had assembled around government headquarters. They were there to protest legislation being tabled in Parliament that threatened to interfere with press freedoms and substantially blunt the effectiveness of the labour unions. In the ensuing unrest several government ministers resigned. And so it was just six months after the heady days of Independence and all it portended, John himself reluctantly resigned from office. On June 21, 1979 Oliver Seraphine became the country's new leader. New elections were held on July 20, 1980 and the Dominica Freedom Party headed by Eugenia Charles won 17 of the 21 seats contested. In March 1981, the Caribbean Southern Corporation successfully sued the government of Dominica for breach of agreement receiving a favorable $8 million judgement in a Fort Worth federal court. A month later when the government of prime minister Eugenia Charles survived a coup attempt planned by John and White supremacists, including from Texas, Charles angrily accused Caribbean Southern Corporation of financing the plotters. The allegation was strenuously denied by Grey and following a US Federal investigation no charges were laid against the Piersons. Don Pierson died at the age of 71 on March 30, 1996. Grey continues to practice law in Arlington, Texas. © 2015 spincleaning.ord All rights reserved.